This is the second installment in the Keepsake Cove Mystery Series. In this one, Callie is settling into life as a resident of Keepsake cove after she inherits her murdered aunt's vintage music box store. 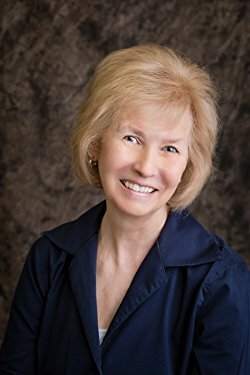 In this story, an author comes to town to do a book signing and stays at the local B & B. 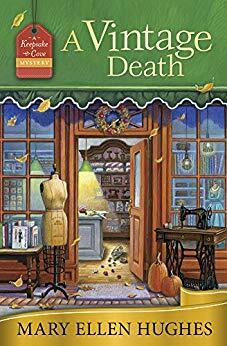 When the B & B owner is found dead, stabbed with a pair of vintage scissors, his ex-wife, Dorothy, who owns the vintage sewing store is the prime suspect. Callie and the author, Lyssa team up to prove Dorothy is not the killer. The setting of this series if very charming and seems like a place that I would like to visit. I enjoyed the plot of this book, it was well thought out and it made the story flow very well. I love a good cozy that keeps me guessing to the very end, and this one sure did that. I look forward to more in this series.